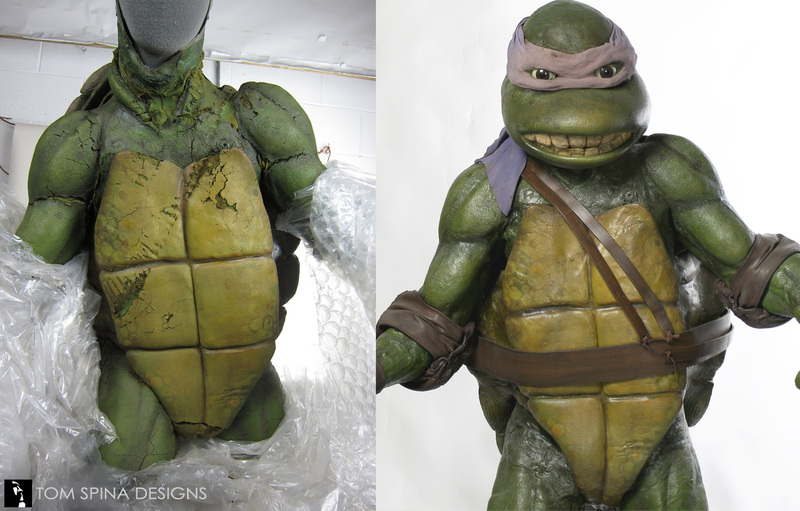 A complete restoration of Teenage Mutant Ninja Turtles movie costume from the collection of Ninja Turtles’ creator Kevin Eastman. 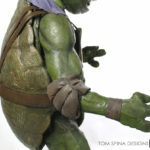 Kevin Eastman, co-creator of the Ninja turtles, contacted us about conserving an original Leonardo Teenage Mutant Ninja Turtles movie costume. 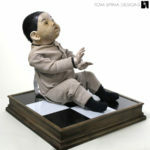 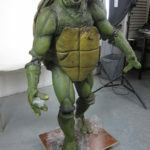 He had kept the foam prop costume after the filming of the original 1990 movie wrapped. 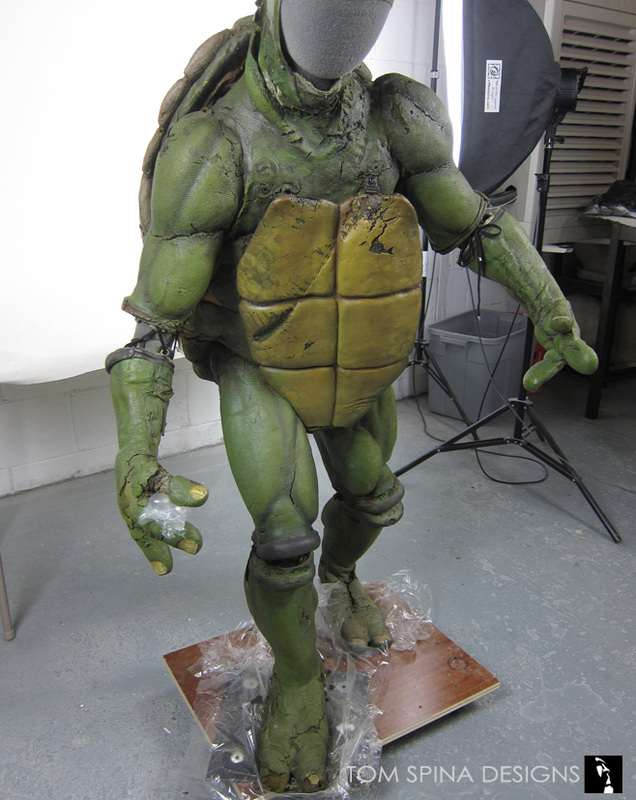 We were thrilled to be helping Kevin out, and also to bring another classic Jim Henson Creature Shop creation back to its former glory. 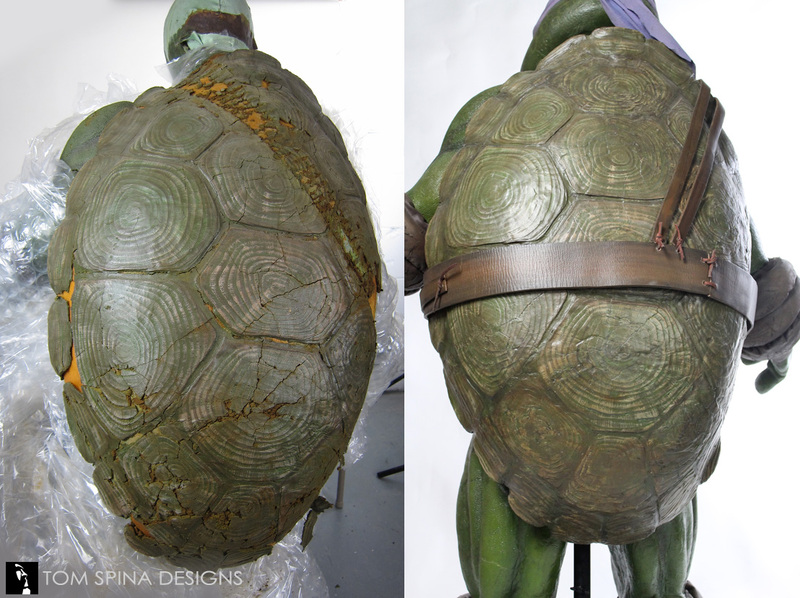 This suit was definitely one of our more challenging restoration projects, due to its age and the fragile nature of the material. 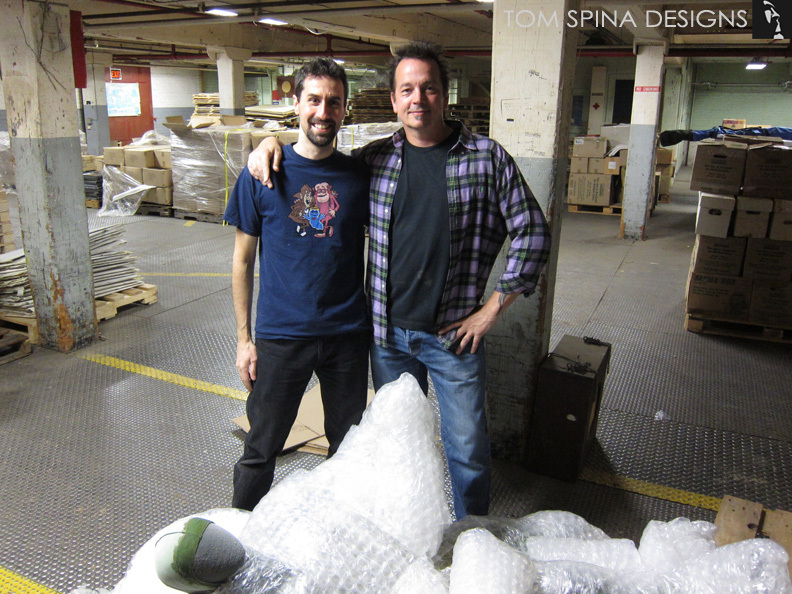 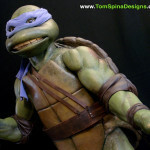 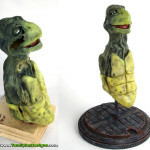 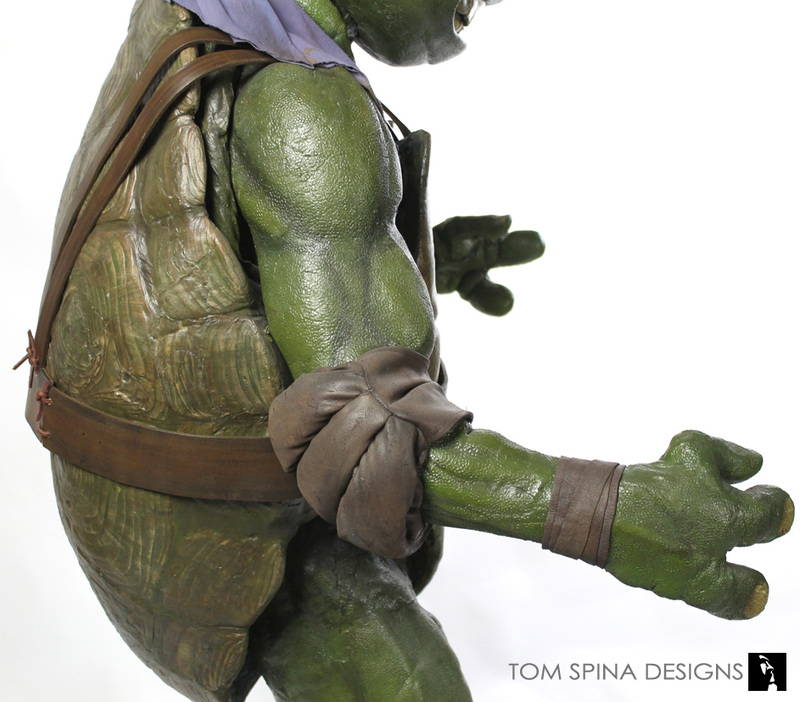 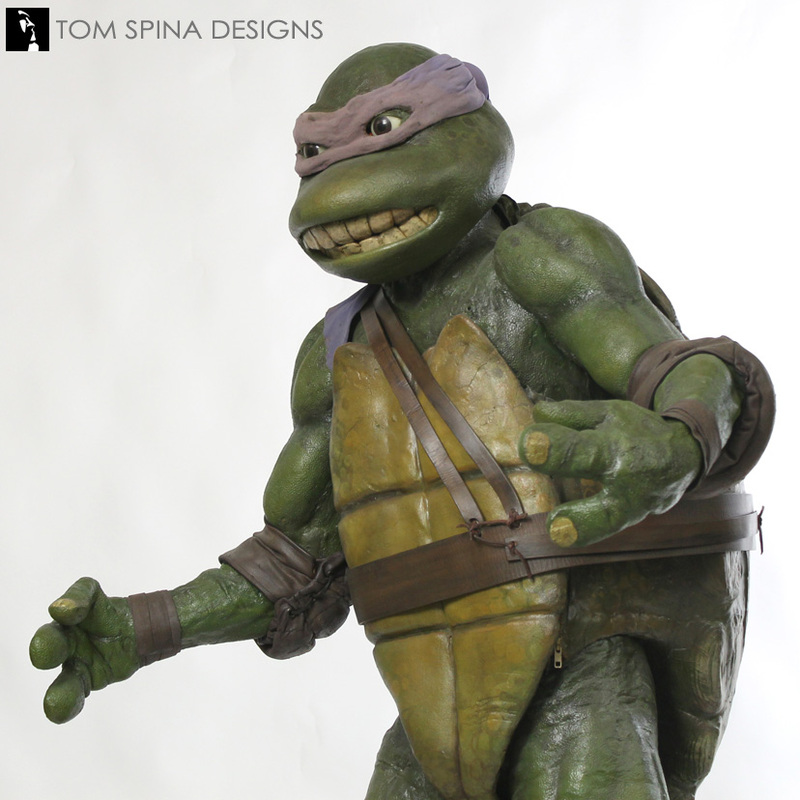 But were we very familiar with working on Ninja Turtle movie costumes, so we knew we were up to the task. 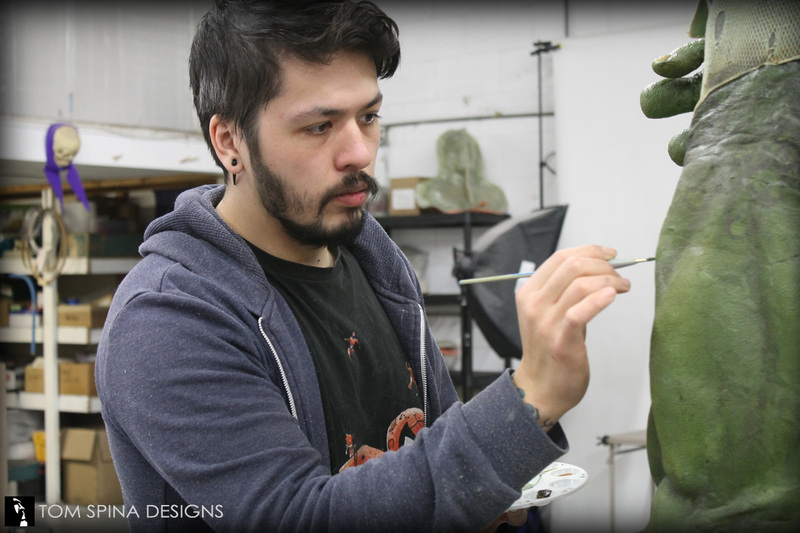 Lead restoration artist for the project, Patrick Louie, and our talented team of conservators had to draw from nearly all of their skills, including patching, fabrication, sculpting, molding, casting and painting. 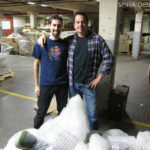 Using so many techniques allowed us to address each area of concern individually. 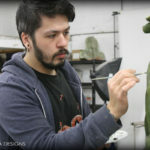 This specialized attention is time consuming but helped us ensure a beautifully restored piece. 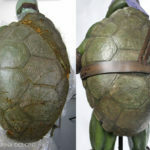 Before any restoration could begin we needed to reinforce the body form the costume was on, which had sustained damage in the years since the movie. 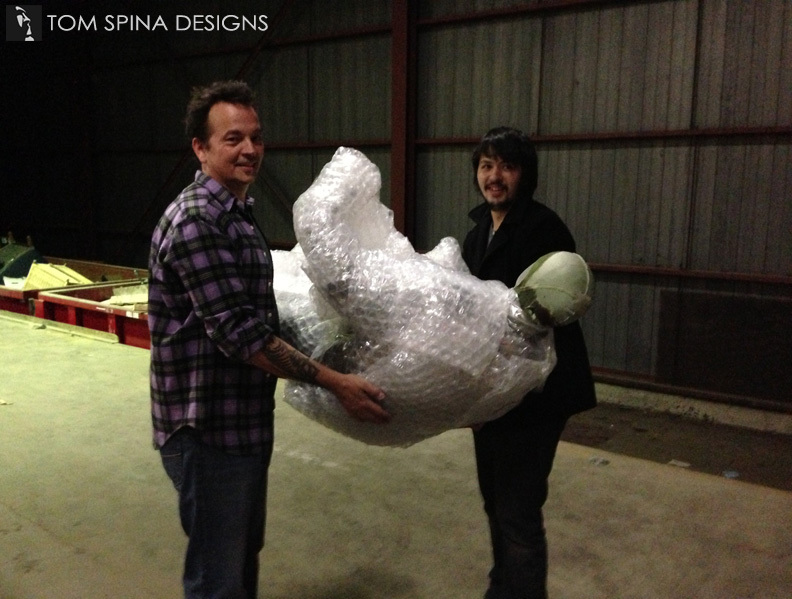 It’s an important step, as every restoration needs a good foundation. 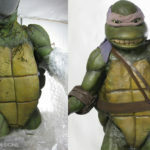 We then began the process of stabilizing the damaged foam and patching and repairing his body. 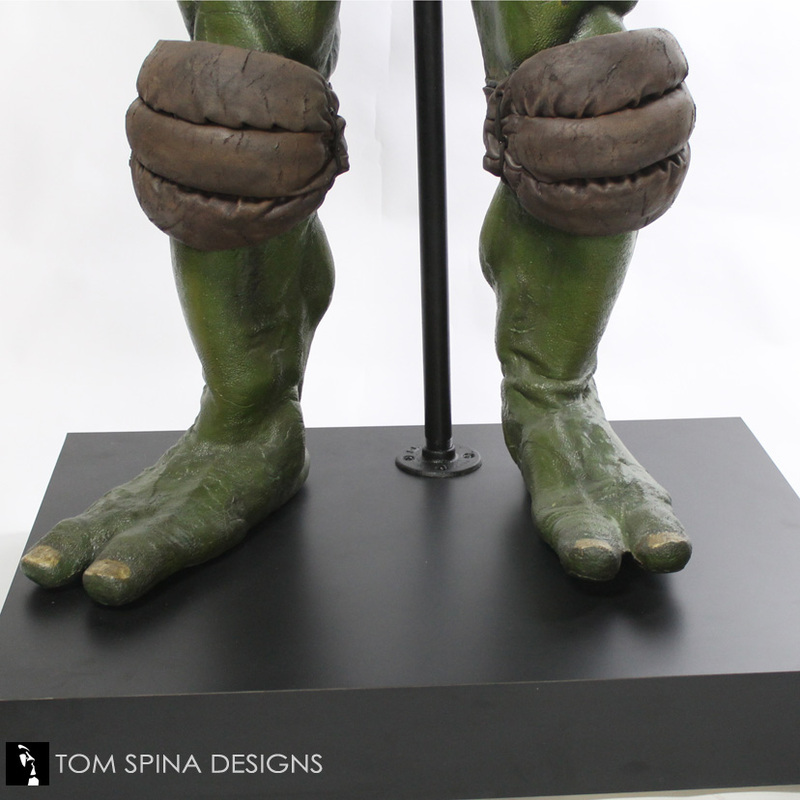 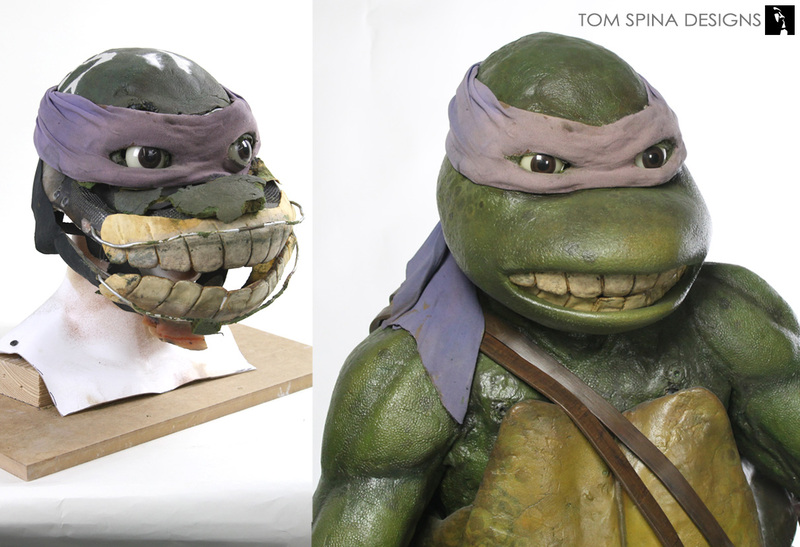 Even though much of the work was subtle, we put over 300 man hours at our New York studio into carefully and gently restoring this TMNT Leonardo prop costume. 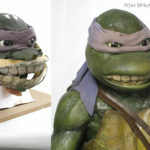 For Leo’s head, we had the challenging task of rebuilding his jaw and mouth area. 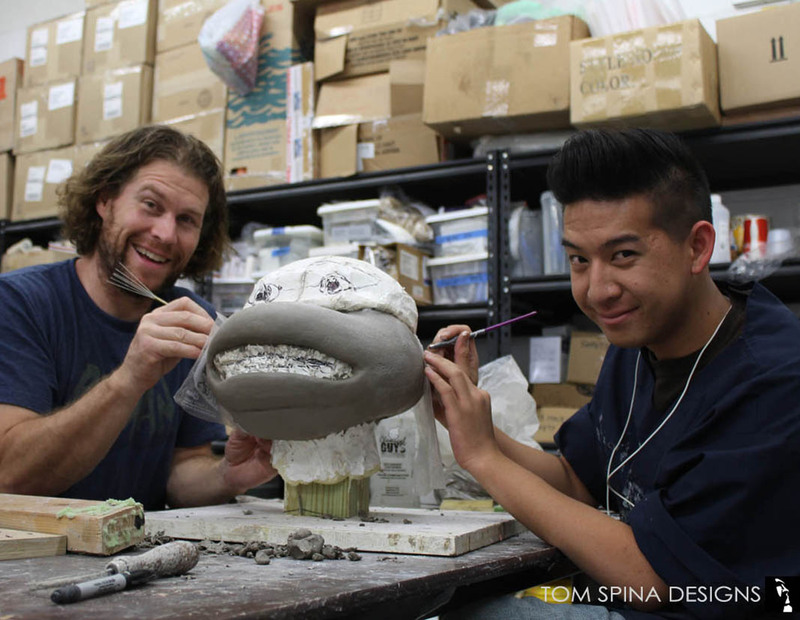 We started by creating a temporary mold of the lower skull (being careful not to damage anything below) and then using that to create a base for a custom sculpted a clay version of the new jaw. 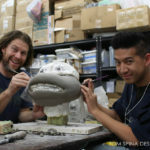 Our new jaw was molded and cast, then applied and it fit perfectly. 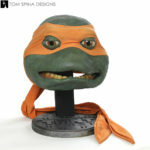 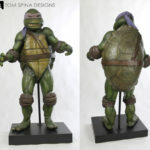 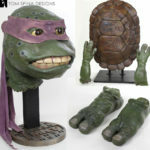 Kevin Eastman gave fans the chance to bid on the fully restored Leonardo movie prop costume, through Prop Store’s Entertainment Memorabilia auction on September 27th, 2016. 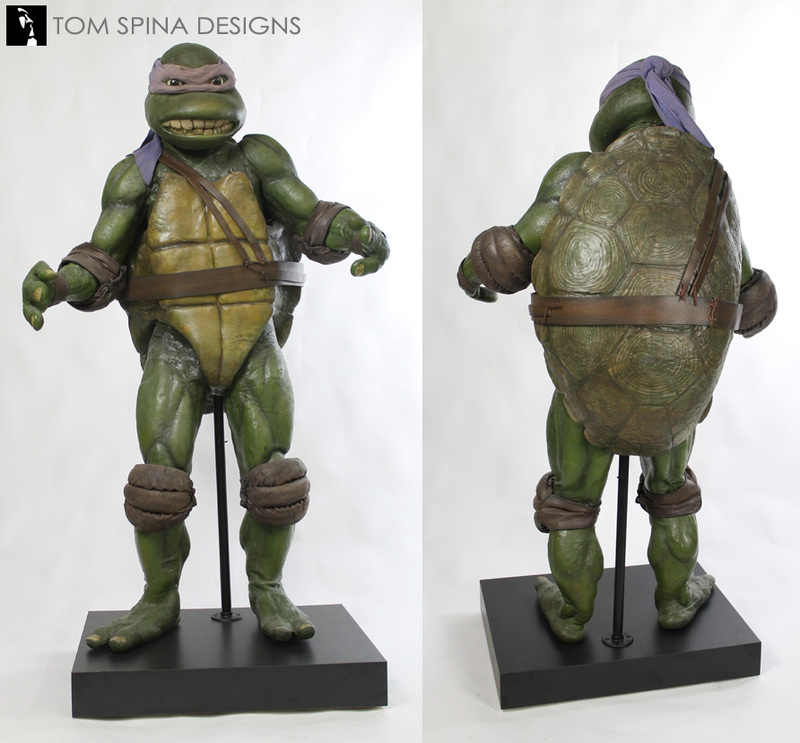 The restored Ninja Turtle costume sold for a little over $12,000. Haven't seen the original TMNT movie in a while?